At Christ Community Church, we strongly believe that “…all Scripture is inspired by God and profitable for teaching, for reproof, for correction, for training in righteousness; that the man of God may be adequate, equipped for every good work” (2 Tim. 3:16-17). No matter which ABF you choose to attend, you will find that the study and understanding of God’s Word is the primary activity. Relationships are an important part of every person’s life. Our diverse ABFs provide a unique opportunity for you to build strong, caring relationships with people in the church who are similar in age and lifestyle, people who will support you through life’s challenges. Our ABFs meet throughout the week in a number of surrounding communities near your home or on the church campus, so you should easily find a group where you feel comfortable. To find a time, place and ABF group that is right for you, please contact the church office at (626) 960-4444 or email us at info@ccc-online.org. 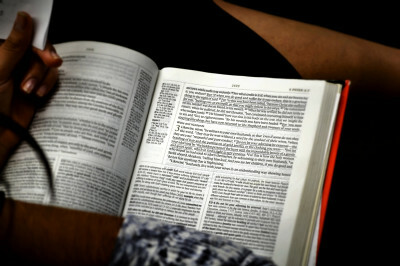 The Adult Bible Fellowships (ABF) of Christ Community Church function as congregational units within the church body. As ABF leaders equip and encourage people to use their spiritual gifts, the ministry and objectives of the church are met (Acts 11:19-26; 12:5-12; 13:1; 14:21-23; Eph. 4:11-16). The purpose of an ABF is to glorify God by providing an environment that will “…present every man complete in Christ” (1 Cor. 10:32-33; Col. 1:28). A. To edify and enrich each person in their understanding and application of God’s Word to their daily lives (Acts 2:42; Eph. 4:11-16; 2 Tim. 3:16-17; Heb. 10:24-25). B. To encourage and develop close, caring, supportive relationships that will strengthen and comfort the body of Christ (Rom. 12:9-13; Eph. 4:1-3; Phil. 2:1-8; Col. 3:12-16; 1 Peter 4:8-9). C. To educate and provide opportunities for the development of spiritual gifts of individuals in order to assimilate and involve them in the ministry of the church (Rom. 12; 1 Cor. 12; Eph. 4:12; 1 Peter 4:10-11). D. To empathize and care for the physical, material and relational needs of its members (Matt. 25:37-40; Luke 10:30-37; Acts 2:44-45; Rom. 15:25-27; James 1:27). (Ex. 22:21; Deut. 14:29; Matt. 25:35-40; Heb. 13:2; 1 Peter 4:9). G. To elevate and foster the worship and praise of God, our Father, and His Son, Jesus Christ our Lord (Ps. 150:6; John 4:23-24; 9:35-38; Heb. 1:6; 13:15). H. To enable and promote the sending and support of its members as missionaries to other cities, countries, and cultures (Acts 1:8; 8:4-5, 26, 40; 11:19-21; 13:1-4; 14:21-28; 1 Cor. 9:14). A. Maintain an active membership at Christ Community Church for 12 months. This gives the leadership an opportunity to evaluate each prospective teacher’s ability and commitment to the Lord and His church. The Elders must approve any exceptions. B. Model a lifestyle of integrity (Ps. 15; 1 Tim. 4:12). C. Manifest a strong commitment to prayer, Bible study, marriage and family (Eph. 5:25-6:4; 1 Tim. 2:1-2; 2 Tim. 4:3-16). D. Meet the standards of Biblical leadership as outlined in Acts 6:1-6 and 1 Thess. 2:1-12 with a humble and teachable attitude. E. Make every effort to attend Leadership Seminars for the purpose of development and accountability (Ecc. 4:9-12; Matt. 20:25-28; Mark 6:30; 2 Peter 3:18).